The South Tyrol Museum of Archaeology is located in Bolzano in the Trentino-Alto Adige region of Italy. 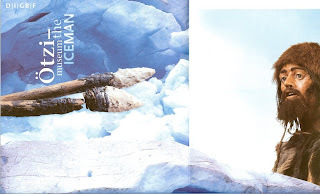 The museum is famous because of its permanent resident, Ötzi the 5000+ year old iceman. 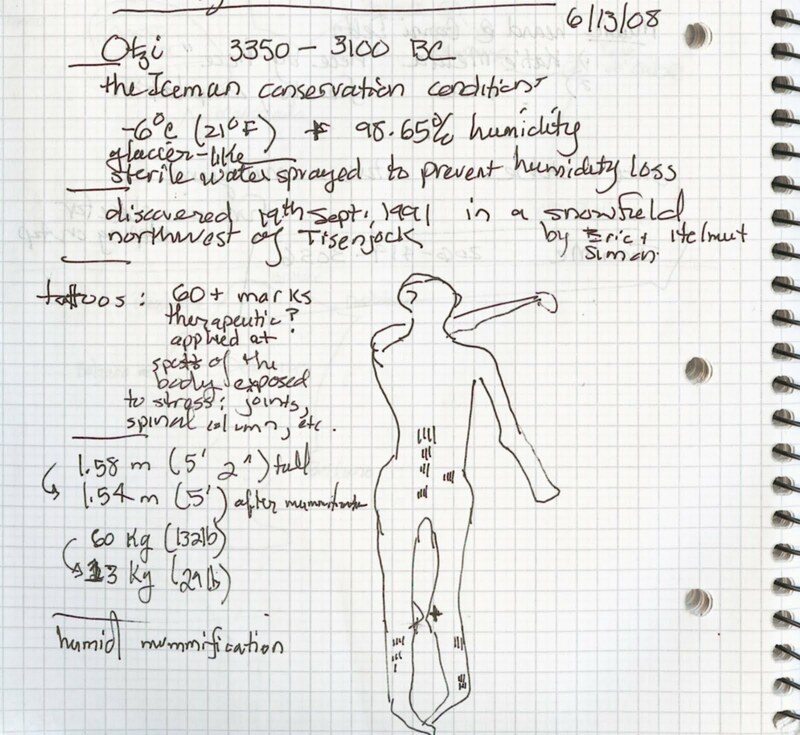 Ötzi is certainly the star attraction but what makes the museum truly successful is how they build up to tell Ötzi’s story: how he was found, where he was found, what he was found with, and some probable and some speculative aspects of his Copper Age life. If you want to cut to the chase and see Ötzi directly – or really, peek at him in his bedroom chamber of -6° C glacier-like temperature - then go directly to the second floor. But, to do so and not take some time to follow the curated exhibits leading up to viewing him would be to miss a big part of the museum’s charm. A word or warning: there are a couple of English signs around the viewing area of Ötzi but otherwise they are scarce, so, for English-speakers the audio guide is indispensable. So who was Ötzi? He was a man who lived somewhere between 3,350 and 3,100 B.C. He died probably as a result for a wound to the shoulder falling into a gully on the border between Italy and Austria in what are called the Ötztal Alps (approximate location he was found). Over time he became mummified and covered with a glacier, called now the Tisenjoch glacier. He was discovered in 1991 by some hikers thanks to warmer temperatures and retreating glaciers. At first, it was thought that it was just another lost hiker as several a year are found in that area. It took a while to figure out that this was quite a different kind of find. 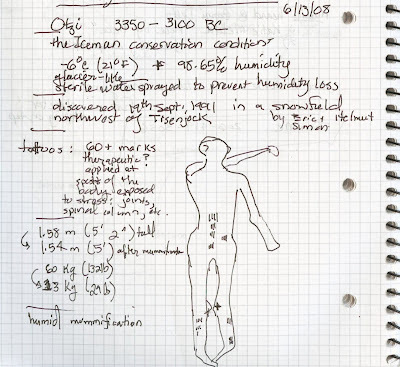 There are many interesting aspects of Ötzi, but the one I found the most interesting is the markings or tattoos on his skin. The markings are groups of straight lines. It is believed that these marks could well have been therapeutic in nature as they were made at specific parts of the body that were exposed to the most stress like joints and the spinal column.